Recently zen10 were privileged to redesign and launch a fresh new website for Terrain Concepts. 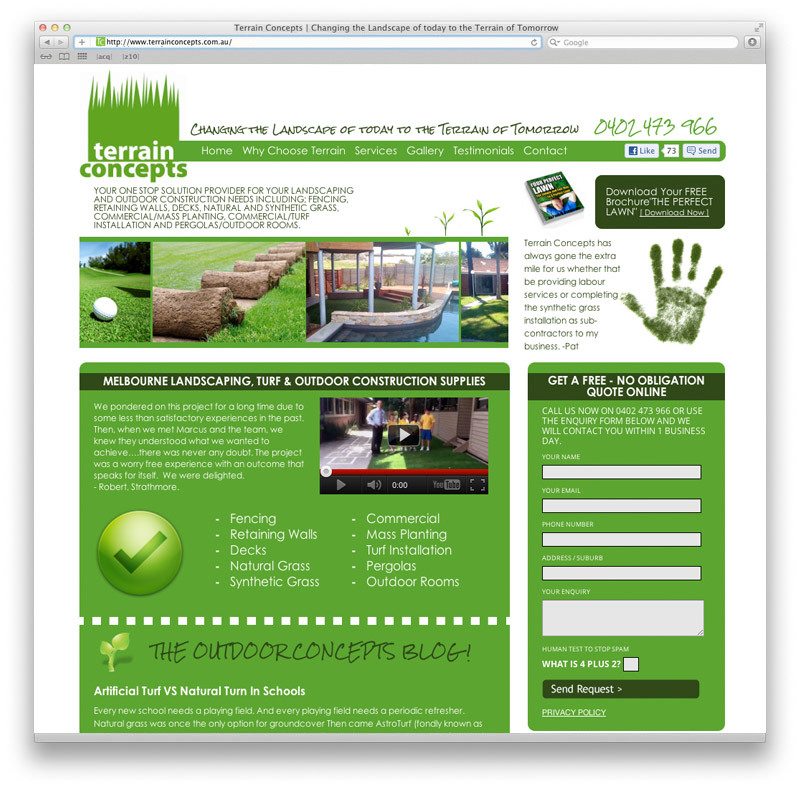 The new website encompasses an outdoor concepts blog informing visitors on everything from choosing the right type of turf to landscaping tips and tricks. An exquisite gallery section has been included to display all types of products they have on offer, including before and after shots of previous work sites. The new website also features a newsletter subscription option, online booking enquiries, SEO and up-datable content thanks to the custom WordPress CMS template development. If you are after effective website design, contact zen10 Australia on 1300 798 901. Ask our team, because asking us is free! We will usually reply within 24 hours. If you already have a website you'd like us to review, please include the address below.